Baler is the capital of Aurora province located in Central Luzon region facing Baler Bay near the Philippine sea. Ever since I've watched Baler movie, I've been totally curious about the place. Upon realizing Baler is a place to surf, relax and unwind, whoa! I finally marked this place to visit last year. And so the saying goes everything is possible, I'm finally blogging about it! So the first question here that most people asked including my friends is, how to get to Baler? There are two ways to reach Baler, Aurora. Both ways' endpoint are just a tricycle away from the famous Sabang Beach where most resorts are located and people do surfing. As of now, Genesis Bus Transport is the only bus company that caters direct transportation to Baler. Normal bus ride's everyday schedule starts at 3AM in their website but it usually starts at 4-430AM for the first trip to give way to Cubao-Casiguran trip around 1AM-3AM in their Cubao Terminal. From first trip, an interval of 1 hr every trip until its' last trip at 730AM. The good news here, I read they already have JoyBus Genesis bus which is a coach/executive style bus, no stop-overs, comfort room on-board, and free wi-fi. Best is they have schedules at 12-1am which is earlier. During our trip last year, Genesis didn't offer this new JoyBus but I'm glad it's good now. Yey! TIP: Better call them for reservations. It is highly important to buy your tickets prior the trip to avoid the hassle of those chance passengers and to make sure exact time of your trip so you can plan your itinerary ahead. In case you plan to go to Baler outside the specified time of Genesis' bus schedule, alternate route would be to take a bus to Cabanatuan, Nueva Ecija. Travel time is more or less 3hrs. Then upon reaching Cabanatuan terminal which is near the public market, take a non-aircon public van (located in the market) until you reach Baler. I don't think pollution would be an issue because of green and nature view along the way. Travel time is 3-4 hrs. Non-AC van from Cabanatuan to Baler is a public transportation, meaning it has to be filled first for 12 pax (depending on the van's capacity) before the van proceeds on its ride to Baler. If you're in groups you can hire the van until you reach Baler. We arrived in Genesis around 12-1AM to try our luck. We don't have reservations and during our trip, the Genesis bus schedule to Baler was still around 4-4:30AM. We arrived early to try our luck in Cubao-Casiguran(Auroa) trip as it will pass by Baler but they did not allowed it saying it's a lot of lugi (money loss in their side). Oh well, we did the alternate route. Just beside Genesis Bus Transport (left side, if facing EDSA) is the ES Transport going to Cabanatuan. And upon reaching the market in Cabanatuan, we hired the van to Baler. We arrived in Cabanatuan 3:30AM and in this point of time, we decided to just hire the van (we're 8 pax) so we can reach Baler early morning. Thankfully the van directly dropped us at Sabang Beach. We reached Baler from Cabanatuan in just more or less 3 hours! We walked, passing by different lodge/resorts and asked where is Aliya Surf Resort. We planned to stay in Bay's Inn but it is already fully booked. I can stay in a much cheaper resort but because I still have trauma from our terrible stay during Pahiyas Festival, I said that I wanted a nice play to stay this time hehe. 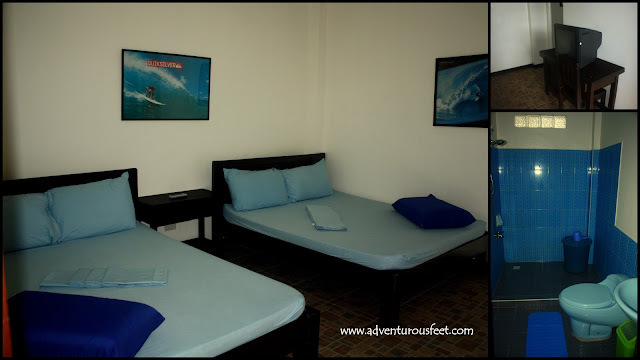 Aliya Surf Resort is located in Sabang Beach, Baler, Aurora. I think it's a sister resort of Bahia De Baler because Aliya Surf Resort's last name owner is Angara (same with Bahia). They're investing to make it bigger! If you go now, you'll see its already finished. The place is nice, relaxing and peaceful. I loved their cafe/bar area, very likeable. They only served breakfast here. We arrived very early and while they're working on cleaning up the rooms we're about to use, we ordered breakfast. Don't expect that will be served immediately. Expect an hour or so before eating. They do have check in times but one of caretakers is kind enough to agree that as long as there's available room ahead of time, we can check in. Here is the view from 2nd floor's balcony. Sweet! 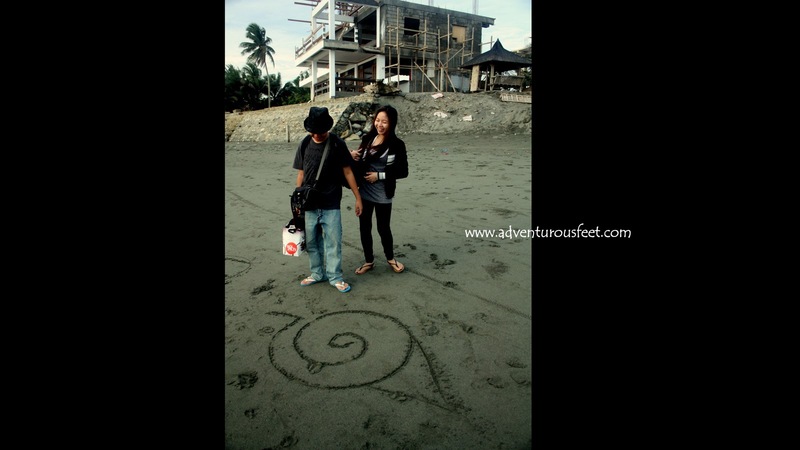 Nice for you feature Baler which only few travel blogs to feature it. This is good eye-opener for the province of Aurora. Excited to read the next installments. I am thinking of going back to Baler and the Joybus makes me excited. wooh! 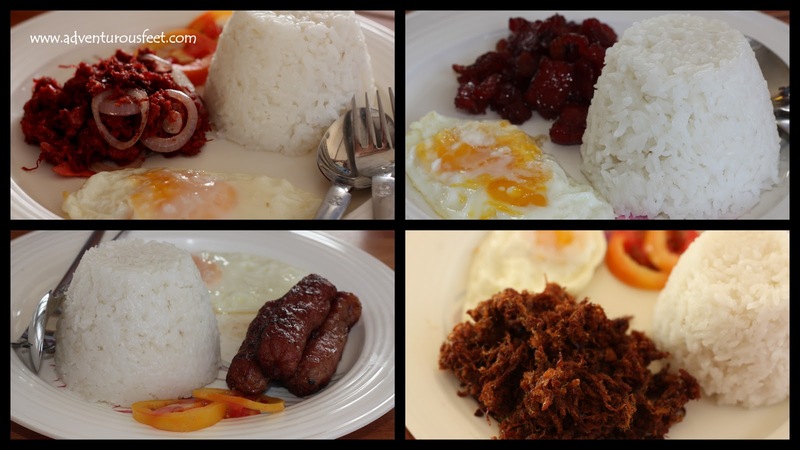 Hi, we are planning to go to BALER, and manggaling kame ng Pampanga, nagstop over ba kyo somewhere in Pampanga? hindi po kami nagstopover kasi malapit pa yun sa manila. planning on going there in a couple of weeks. i was wondering if you could help me on this. i've been reading that the best way to get to baler from manila is the JoyBus, and it's been recommended that i should make a reservation in advance. what i would like to know is how soon should i make the reservation? a day in advance, or sooner than that? sorry for my ignorance; i'm really naive about all of this since i will be coming from ohio. thanks in advance!!! i'm planning on being in Baler on the 20th of this month. the earliest that i could make the reservation would be this coming Saturday, the 11th. i hope that's plenty of time. btw, do you think it's a good idea to make a reservation for my return trip (to manila, on the 22nd) as well, at the same time when i make the initial call? hi ron z, i called in and they told me that for reservations you can reserve in as early as one month, but it was not clear to me if it is just plain reservation or you need to pay the tickets upon reservation. Reservation is between 9:00AM-5:00PM Philippine time, and the joybus schedules to baler are 12:30midnight and 1:30am everyday respectively. I will call again tomorrow in the morning (i hope i'll remember it hehe) because the one who answered the phone didn't hear me that much (due to the noise of the bus) and he seems very busy. when will you be here? on the 11th? or you're just calling for reservations straight from ohio? once again, thank you so much for all of these! hopefully the information posted here will help future traveller as wel. my parents will be arriving there this coming thursday, Jan10th (via Hawaii). i asked my dad if he can make the reservation for me as soon as possible, which i'm hoping, will be the 11th. in our phone conversation last night we agreed that it would be better if he would go to Cubao in person to make the reservation, that way it would be taken cared of if he has to pay. as for myself, i personally won't get there until next week thursday, the 16th. i'm just trying to jump the gun, hence with all these questions, lol. hi ron, yeah I think going there directly for reservation (which your dad will do) is the best. :) glad to be of help, that's what this blog is for haha! Hope to hear your story after your trip. Baler is such a lovely province hoping you'll enjoy your trip :) goodluck!